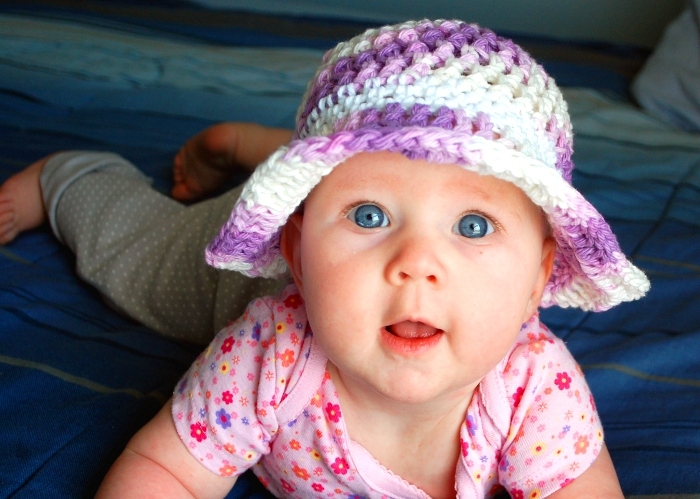 After all the fun looking up sun hats this week, I couldn’t resist making one for Ivy. Come on. Would you be able to resist? 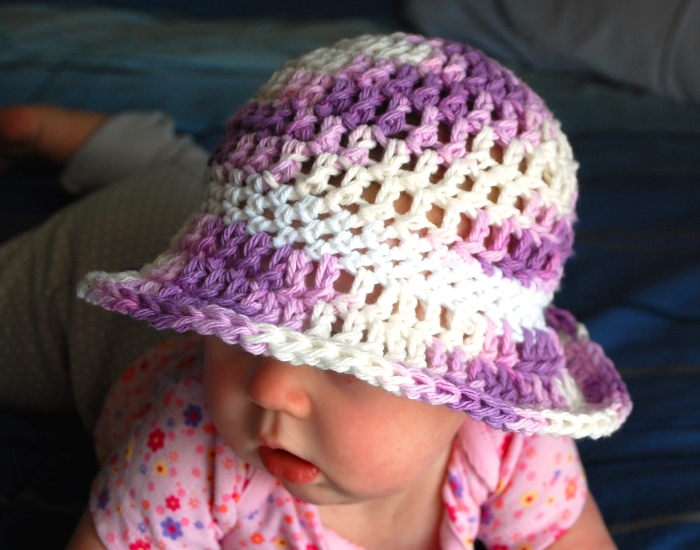 It’s nice and loose, which makes it fast and airy, but the brim still sticks out nicely. Would you like to make one, too? 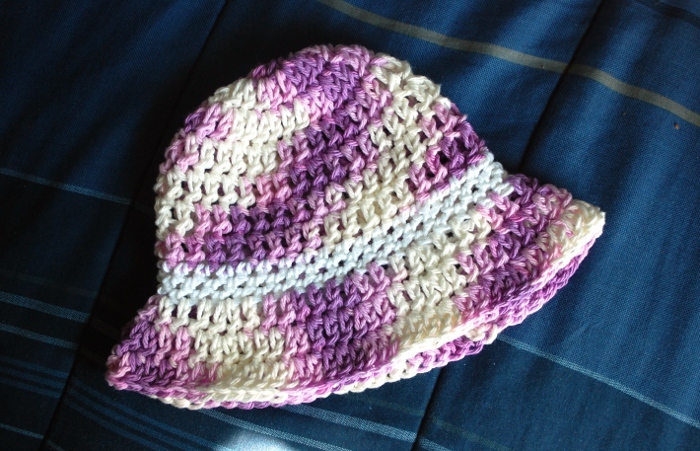 Size: 16″ circumference, to fit 6-12 month old. Rnd 1: With MC, make a magic ring, ch 2. Make 12 dc in ring, pull tight to close. Join rnd. Rnd 2: Ch 2. Make 2 dc in each dc around. (24 dc) Join rnd. Rnd 3: Ch 2. *Dc in next dc, make 2 dc in next dc. Repeat from * around. (36 dc) Join rnd. Rnds 4-7: Ch 2, dc in each dc around, join rnd. Rnds 8-10: Ch 1, sc in each st around. Join rnd. Rnd 9: Ch 2. *Dc in each of the next 2 sts, make 2 dc in next st. Repeat from * around. (48 dc) Join rnd. Rnd 10: Ch 2. *Dc in each of the next 3 sts, make 2 dc in next st. Repeat from * around. (60 dc) Join rnd. Rnd 11: Ch 2. *Dc in each of the next 4 sts, make 2 dc in next st. Repeat from * around. (72 dc) Join rnd.